Gary Jenkins was born in Brooklyn, New York and raised in St. Petersburg, Florida. In 1962 he graduated from the well known four year Ringling School of Art in Sarasota Florida. Upon graduation, he moved to So. California. Gary started his full time art career working as a key line artist for a large greeting card company. A little later on, he started working for the large national art store chain, Aaron Bros. During the early 1970s while working at that store, Gary painted in his spare time and began to develope his style of oil painting, focusing primarily on Landscapes and Floral painting. The 1970s is when he developed his well known trademark style of painting Roses and Poppies. He worked for the art store chain for 15 years and eventually became a teacher at the store. As far as he knows he was the first artist to teach the one-day workshop concept. Soon after he began to teach, the art store produced about 60 of his original paintings into print and begun to market them to art stores and galleries through out the United States. With this name recognition this led to request from art shops for Gary to teach 5-day seminars. During the late part of 1970 he traveled to several cities up and down the west coast to teach at many locations, annually. In 1980,Gary purchased a video camera and started to produce his own how-to art instruction videos. This was the year he also met Kathwren while he was teaching in Nevada.Together with his future wife, they would travel to teach seminars by that time, teaching across the U.S and sell their videos to their students. They were the first art teachers to do this. In 1982 Gary had the opportunity to meet with the station manager of KOCE, the PBS television station in Huntington Beach Ca. Gary and Kathwren took the demo tapes to the station that they had made themselves to show manager. Luckily he liked the demos and a deal was made and that was the start of Gary's very long TV art career. Gary was the 2nd. artist to go on national PBS TV, after Bill Alexander, who was also taping at the same station. Gary and Kathwren worked for the same paint manufacturer for 16 years. They were the sponsors of the TV series, Jenkins signiture products and books. All during the 1980s and 1990s while producing the TV series, books and also videos for thier own video company, Gary and Kathwren continued to travel extensivly (about 30 states a year) across the US. to teach their seminars and promote the Television series. Gary and Kathwren also married in 1984. Gary hosted 21 TV series for PBS from 1983 untill 1999. Kathwren was the guest host on many of the series. In 1999 Gary entered a national flower painting competition sponsored by North Light books. Out of 3,000 entries, Gary was chosen as one of 150 artist as ''THE BEST FLORAL PAINTERS IN AMERICA. ''His 2 winning paintings were published in the book of the same name. In 1999 Gary resigned from the large paint manufacturer that he had worked for and decided to take a break from television after 16 years. He continued to teach nationally and in his own studio with Kathwren. They also ran their mail order bussiness, which they started in the mid. 1980s, and once again tried to find time to do some gallery painting, which he had done many years earlier. Then in 2006 , two entrepeneur producers from Germany who had heard about Gary years earlier, contacted him and asked if he would be interested in resuming his Television career. These two gentlemen soon flew to the U.S to meet with Gary and Kathwren for several days. In 2007new shows were produced and a book was written. That was the start of ''THE BEAUTY OF OIL PAINTING''. This new company that was started in Berlin,Germany is FARBI FLORA. This time, Kathwren and Gary would not only be aired in the U.S but on national Dutch Television. Since 2011 their shows have also been airing on National German TV. As of September, 2013, "THE BEAUTY OF OIL PAINTING "has been airing on several more European countries. They include England, Ireland, Portugal, Romania, Bulgaria, Cyprus and parts of France, since 2007, 5 new TV series have been produced along with 5 new books and 2 Technique DVDS. To date, Gary has hosted over 360 half hour Television shows. Gary has been painting for over 50 years and been afull time professional artist/teacher for over 40 years. He is well known as a floral artist, but he also enjoys painting Exotic Birds and Fish, he also teaches a few landscape classes. Gary still travels to several U.S. locations a year to teach seminars and runs his mail order bussiness and produces new TV series each year. Gary also travels each year to teach the Jenkins Certification course (J-CAT) and master classes in Berlin Germany. In between his traveling, he teaches 3-day semi-private classes in his home studio in Sedona. He and his wife will also be teaching their 3 week teacher training course (certification) in Sedona. In the past Gary has owned his own art galleries in Laguna Beach and Del Mar, Ca. He currently has paintings in the Simic Fine Art Gallery in Carmel,Ca. and in his daughters gallery in Del Mar, Ca. Gary also has several of his paintings in Giclee print. His paintings and prints are in private collections through out the U.S., Canada, Central Europe and Australia. Currently Gary lives with his wife in beautiful Sedona, Arizona. Gary has 3 children, one of which is an artist/gallery owner, Heather Roddy, also Amber, a make up artist/hair dresser and Tim, an artist. Gary has 5 grand children and 1 great grand child. Kathwren Jenkins was born in Toronto, Canada, and raised in Southern California. Kathwren began oil painting at the age of 18. She majored in art in high school and attended art courses in the evening at a junior college. Kathwren continued to paint and learn on her own all through the 1960's. In the mid-1970's, she became an art teacher at a studio in Nevada, where she was living at the time. In 1980, she met her husband, Gary Jenkins. Kathwren began to team-teach with him, travelling nationally to about 30 states per year. During the 1980s and 1990s Kathwren also wrote several of the telvision art books for her husband's television series. She produced two non television art books, during this same time. Kathwren also hosted several of her own art instructional video's for their Jenkins non -television video production business. In 1990 Kathwren became a co-host along with her husband Gary, of the very popular national P.B.S. television series ''Jenkins Art Studio'' This continued untill 1999 Currently Kathwrens original paintings are shown in fine art galleries in Carmel, California. She also has several of her paintings in Giclee prints. 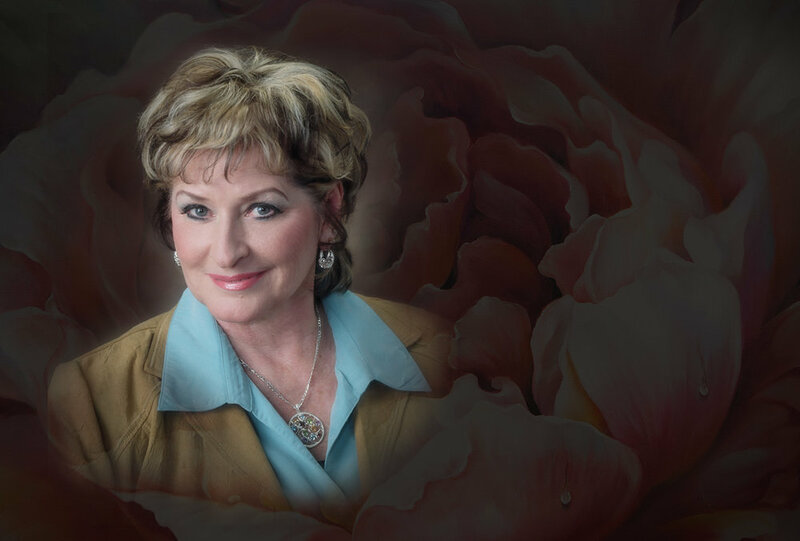 Through out the years, Kathwren has continued to teach, and more recently became a co-host once again with her husband Gary on their international art show series ''The Beauty of Oil Painting''. Kathwren writes all the books that go along with the television series and is also co-director and creative consultant for the shows. Kathwren will continue to produce more how - to art DVD's. She also has produced 26 painting packets. Painting florals and exotic birds is her passion. Kathwrens hope for the future is to continue her long art career with her partner and husband Gary. Kathwren has 1 daughter, Eva, a Doctor of Veternarian Medicine and 1 grand daughter.